With a multi-dimensional data cube for long-term analysis of customer cohorts, marketers are given the tools to understand the downstream revenue impact of all their business decisions through succinct visualizations. 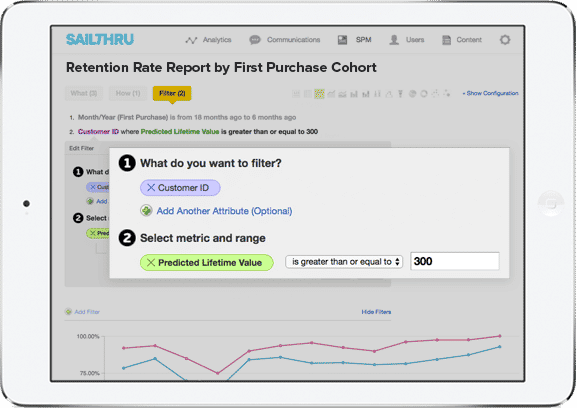 Retention Analytics provides both out-of-the-box reports and the ability to create your own customizable dashboard so you can get to the metrics that matter most to your business. Identify the best combination of email tactics to drive long-term engagement and conversion through measurement of trigger and email streams over time. 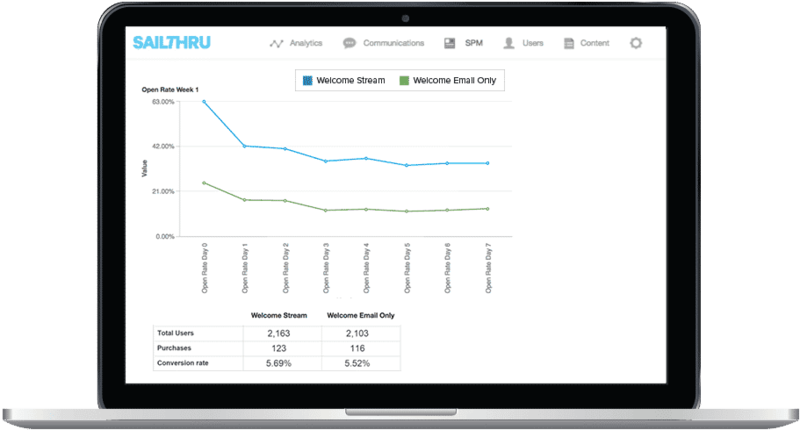 Say “hello” to more effective retention analytics. 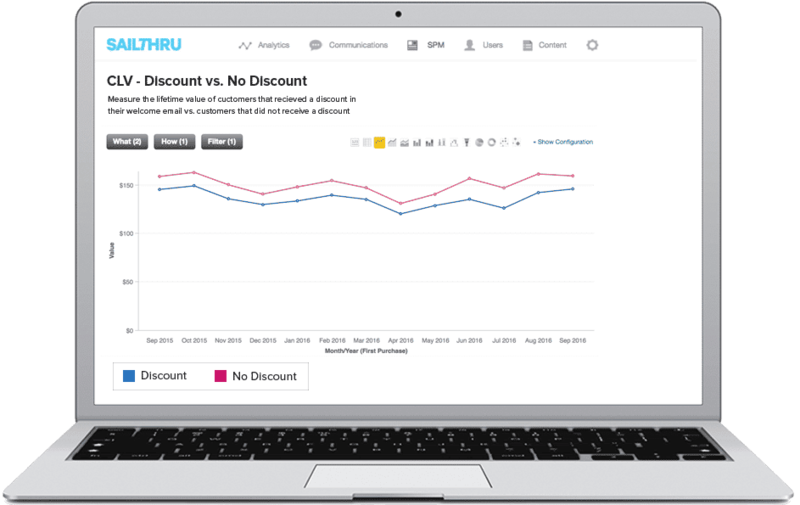 Get a customized demo to see how Sailthru’s marketing analytics experts and success services can supercharge results.